We discovered that for BNM, tax is more than just numbers, they go beyond everyday accounting to create, grow and protect their clients' wealth. Beaver Novello Moss engaged us to refresh their website and distinguish them from the competition. However, we soon discovered that in order to achieve their online goals we also needed to refresh their brand, creating consistency on and offline. We recreated BNM's existing logo using a contemporary typeface and introduced a fresh and vibrant colour gradient, helping to position the firm as modern and energetic. Our strategy focused on BNM's practice of going beyond everyday accounting to help achieve their clients' financial goals. It was important to created a brand that wasn't stuffy or corporate, but the identity needed to maintain a premium and trusted feel. Once the brand was complete we created business cards, stationary, and posters for the firm's offices. 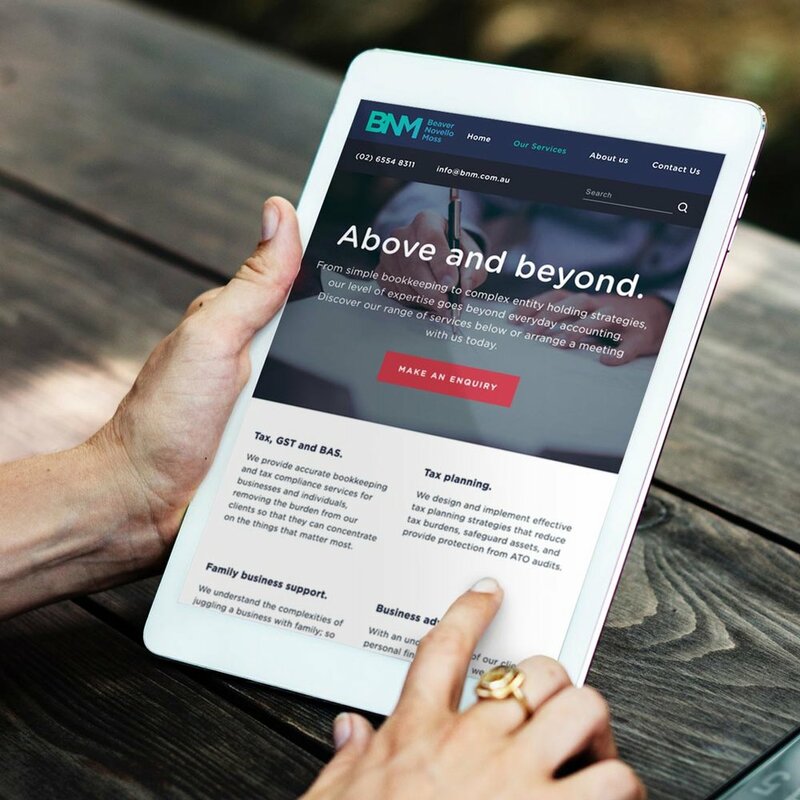 Additionally we developed a website that demonstrates BNM's offering, capabilities, and values, while providing lead generation points on every page.